Click here for audio recording of this teaching. In the twentieth century, the federal government added more cheese to the trap—26 U.S.C. or Internal Revenue Code (“IRC”) § 501(c)(3) (“501(c)(3)” or “501c3”) tax exemption. The Internal Revenue Service (“IRS”) exerts a certain amount of control over an incorporated 501(c)(3) “church.” Scripture makes clear that God wants no one else—especially the unregenerate—controlling, defining, and restricting His bride from totally following His precepts. IRC terms set limits on and control the activities of the corporate 501(c)(3) religious organization. Definition of terms used in the IRC by IRS personnel who do not have the expertise to define biblical terms further results in the operation of a corporate 501(c)(3) organization in ways inconsistent with biblical principles. “(a) Exemption from taxation. An organization described in subsection (c) … shall be exempt from taxation under this subtitle [26 USCS §§ 1 et seq.] unless such exemption is denied under section 502 or 503 [26 USCS § 502 or 503]…. “(c)(3) Corporations, and any community chest, fund, or foundation, organized and operated exclusively for religious, charitable, scientific, testing for public safety, literary, or educational purposes, or to foster national or international amateur sports competition (but only if no part of its activities involve the provision of athletic facilities or equipment), or for the prevention of cruelty to children or animals, no part of the net earnings of which inures to the benefit of any private shareholder or individual, no substantial part of the activities of which is carrying on propaganda, or otherwise attempting, to influence legislation (except as otherwise provided in subsection (h)), and which does not participate in, or intervene in (including the publishing or distributing of statements), any political campaign on behalf of (or in opposition to) any candidate for public office…. “(h) Expenditures by public charities to influence legislation. (1) General rule. In the case of an organization to which this subsection applies, exemption from taxation under subsection (a) shall be denied because a substantial part of the activities of such organization consists of carrying on propaganda, or otherwise attempting, to influence legislation…” (26 U.S.C. § 501(c)(3) (2007) in relevant part). 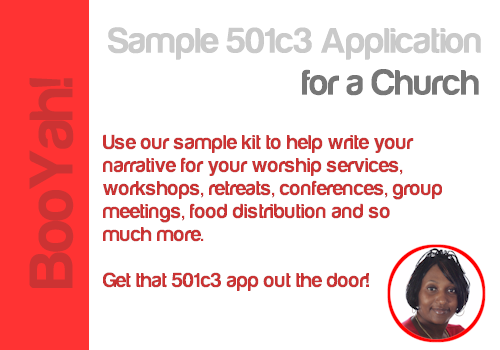 Notice, in the above law, that churches are not mentioned in 501(c)(3). It does mention, among other things, “[c]orporations … organized and operated exclusively for religious … purposes.” Even the federal government thereby recognizes that the basic character of a church who seeks and obtains 501(c)(3) status has changed and that church has become a “religious organization.” That happens when a church incorporates under state law. 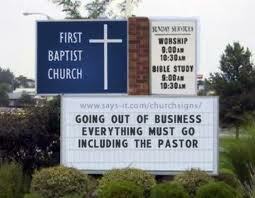 When a church incorporates, it becomes a corporation organized exclusively for religious purposes. The state controls, defines, and instructs a corporate 501(c)(3) religious organization to a large degree. Control and definition go hand in hand. The federal government, not God, defines “religious purposes” as to an incorporated church. What if an incorporated 501(c)(3) religious organization considers an activity to be God-ordained and spiritual, but the civil government disagrees? The civil government with authority over that issue controls. “5. the organization’s purposes and activities may not be illegal or violate fundamental public policy” (IRS Publication 1828 (2007), pp. 3, 5. This and all IRS publications referred to may be accessed at irs.gov. IRS details on proscription #3 are on pp. 5-6 of IRS Pub. 1828. Just mentioning a candidate may violate proscription #4. Detailed guidelines with consequences of violation of proscription #4 are on pp. 7-11 of Pub. 1828. 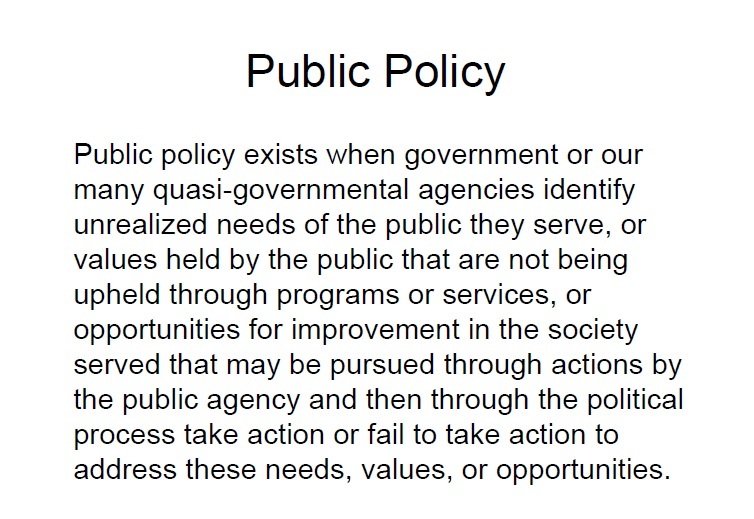 As to proscription #5, public policy is determined by the courts.). The IRS implemented Rule No. 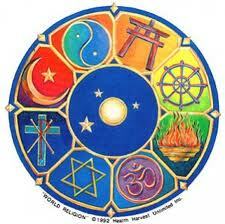 5, and the highest authority for the 501c3 religious organization upheld the IRS rule. “The court permanently enjoined the Commissioner of Internal Revenue from approving tax-exempt status for any school in Mississippi that did not publicly maintain a policy of nondiscrimination…. “Bob Jones University [was] a nonprofit corporation located in Greenville, S. C. Its purpose is ‘to conduct an institution of learning …, giving special emphasis to the Christian religion and the ethics revealed in the Holy Scriptures.’ Certificate of Incorporation, Bob Jones University, Inc. [Bob Jones University had a policy that] Students who date outside of their own race will be expelled…. After failing to obtain an assurance of tax exemption through administrative means, the University instituted an action in 1971 seeking to enjoin the IRS from revoking the school’s tax-exempt status. “The United States District Court for the District of South Carolina held that revocation of the University’s tax-exempt status exceeded the delegated powers of the IRS, was improper under the IRS rulings and procedures, and violated the University’s rights under the Religion Clauses of the First Amendment…. The District Court found, on the basis of a full evidentiary record, that the challenged practices of petitioner Bob Jones University were based on a genuine belief that the Bible forbids interracial dating and marriage. 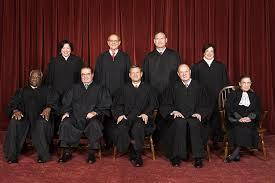 “The Court of Appeals for the Fourth Circuit, in a divided opinion, reversed…. The Court of Appeals concluded that § 501(c)(3) must be read against the background of charitable trust law. To be eligible for an exemption under that section, an institution must be ‘charitable’ in the common-law sense, and therefore must not be contrary to public policy. In the court’s view, Bob Jones University did not meet this requirement, since its ‘racial policies violated the clearly defined public policy, rooted in our Constitution, condemning racial discrimination and, more specifically, the government policy against subsidizing racial discrimination in education, public or private.’ … The court held that the IRS acted within its statutory authority in revoking the University’s tax-exempt status. Finally, the Court of Appeals rejected petitioner’s arguments that the revocation of the tax exemption violated the Free Exercise and Establishment Clauses of the First Amendment. ‘The general words used in the clause …, taken by themselves, and literally construed, without regard to the object in view, would seem to sanction the claim of the plaintiff. But this mode of expounding a statute has never been adopted by any enlightened tribunal — because it is evident that in many cases it would defeat the object which the Legislature intended to accomplish. And it is well settled that, in interpreting a statute, the court will not look merely to a particular clause in which general words may be used, but will take in connection with it the whole statute… and the objects and policy of the law….’ … (emphasis added by the Court). ‘Section 501(c)(3) therefore must be analyzed and construed within the framework of the Internal Revenue Code and against the background of the congressional purposes. 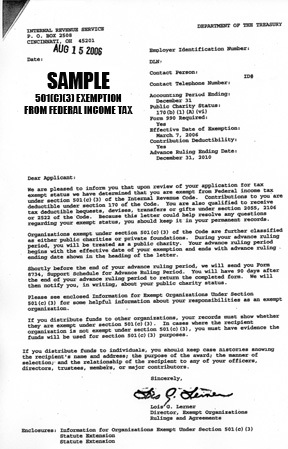 Such an examination reveals unmistakable evidence that, underlying all relevant parts of the Code, is the intent that entitlement to tax exemption depends on meeting certain common-law standards of charity — namely, that an institution seeking tax-exempt status must serve a public purpose and not be contrary to established public policy. ‘This ‘charitable’ concept appears explicitly in § 170 of the Code. That section contains a list of organizations virtually identical to that contained in § 501(c)(3). It is apparent that Congress intended that list to have the same meaning in both sections. In § 170, Congress used the list of organizations in defining the term ‘charitable contributions.’ On its face, therefore, § 170 reveals that Congress’ intention was to provide tax benefits to organizations serving charitable purposes. The form of § 170 simply makes plain what common sense and history tell us: in enacting both § 170 and § 501(c)(3), Congress sought to provide tax benefits to charitable organizations, to encourage the development of private institutions that serve a useful public purpose or supplement or take the place of public institutions of the same kind. 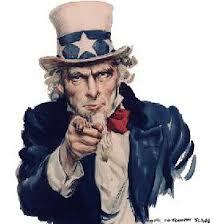 ‘The predecessor of § 170 originally was enacted in 1917, as part of the War Revenue Act of 1917, ch. 63, § 1201(2), 40 Stat. 330, whereas the predecessor of § 501(c)(3) dates back to the income tax law of 1894, Act of Aug. 27, 1894, ch. 349, 28 Stat. 509, infra. There are minor differences between the lists of organizations in the two sections, see generally Liles & Blum, Development of the Federal Tax Treatment of Charities, 39 Law & Contemp. Prob. 6, 24-25 (No. 4, 1975) (hereinafter Liles & Blum). Nevertheless, the two sections are closely related; both seek to achieve the same basic goal of encouraging the development of certain organizations through the grant of tax benefits. The language of the two sections is in most respects identical, and the Commissioner and the courts consistently have applied many of the same standards in interpreting those sections. See 5 J. Mertens, Law of Federal Income Taxation § 31.12 (1980); 6 id., §§ 34.01-34.13 (1975); B. Bittker & L. Stone, Federal Income Taxation 220-222 (5th ed. 1980). To the extent that § 170 ‘aids in ascertaining the meaning’ of § 501(c)(3), therefore, it is ‘entitled to great weigh.’ … [the Court analyses ‘charitable trusts’]…. “Act of Aug. 27, 1894, ch. 349, § 32, 28 Stat. 556-557. The income tax system contained in the 1894 Act was declared unconstitutional, Pollock v. Farmers’ Loan & Trust Co., 158 U.S. 601 (1895), for reasons unrelated to the charitable exemption provision. The terms of that exemption were in substance included in the corporate income tax contained in the Payne-Aldrich Tariff Act of 1909, ch. 6, § 38, 36 Stat. 112. A similar exemption has been included in every income tax Act since the adoption of the Sixteenth Amendment, beginning with the Revenue Act of 1913, ch. 16, § II(G), 38 Stat. 172. See generally Reiling, Federal Taxation: What Is a Charitable Organization?, 44 A. B. A. J. 525 (1958); Liles & Blum…. ‘The exemption from taxation of money or property devoted to charitable and other purposes is based upon the theory that the Government is compensated for the loss of revenue by its relief from financial burdens which would otherwise have to be met by appropriations from other public funds, and by the benefits resulting from the promotion of the general welfare.” H. R. Rep. No. 1860, 75th Cong., 3d Sess., 19 (1938). ‘A corollary to the public benefit principle is the requirement, long recognized in the law of trusts, that the purpose of a charitable trust may not be illegal or violate established public policy. In 1861, this Court stated that a public charitable use must be ‘consistent with local laws and public policy,’ Perin v. Carey, 24 How., at 501. Modern commentators and courts have echoed that view. See, e. g., Restatement (Second) of Trusts § 377, Comment c (1959); 4 Scott § 377, and cases cited therein; Bogert § 378, at 191-192…. ‘On occasion this Court has found certain governmental interests so compelling as to allow even regulations prohibiting religiously based conduct. The governmental interest at stake here is compelling. “[The Court noted:] We deal here only with religious schools — not with churches or other purely religious institutions; here, the governmental interest is in denying public support to racial discrimination in education. Although Bob Jones University was limited to religious schools in that a church was not being attacked in that specific case, the same rationale that supported the Court’s conclusions can also be applied to 501(c)(3) religious organizations, although more hurdles will have to be jumped. 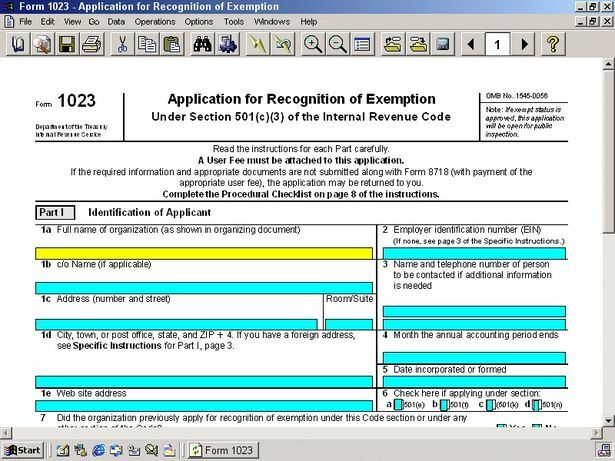 It is common knowledge that the IRS regularly attacks such organizations for infractions of requirements of IRS regulation. The outcome of such a case against a church hinges upon the liberal-conservative makeup to the Court. Liberal dominated courts have no problem clearing whatever logical, legal, and/or spiritual hurdles they encounter. God wants members of His body, the church, to decide what is spiritual and what is not. If His body messes up, He will take care of it. The IRS requirements require instruction, definition, and control. The IRS determines, subject to costly and time consuming court challenge, whether a restriction has been breached by a 501(c)(3) religious organization. These restrictions subject a religious organization to suit in the courts for violating a federal government law. “The question, what is the public policy of a state, and what is contrary to it, if inquired into beyond these limits, will be found to be one of great vagueness and uncertainty, and to involve discussions which scarcely come within the range of judicial duty and functions, and upon which men may and will complexionally differ; above all, when that topic is connected with religious polity, in a country composed of such a variety of religious sects as our country, it is impossible not to feel that it would be attended with almost insuperable difficulties, and involve differences of opinion almost endless in their variety. We disclaim any right to enter upon such examinations, beyond what the state constitutions, and laws, and decisions necessarily bring before us” (Vidal v. Gerard’s Executors, 43 U.S. 127, 198; 11 L. Ed. 205; 1844 U.S. LEXIS 323; 2 HOW 127 (1844)). Note. 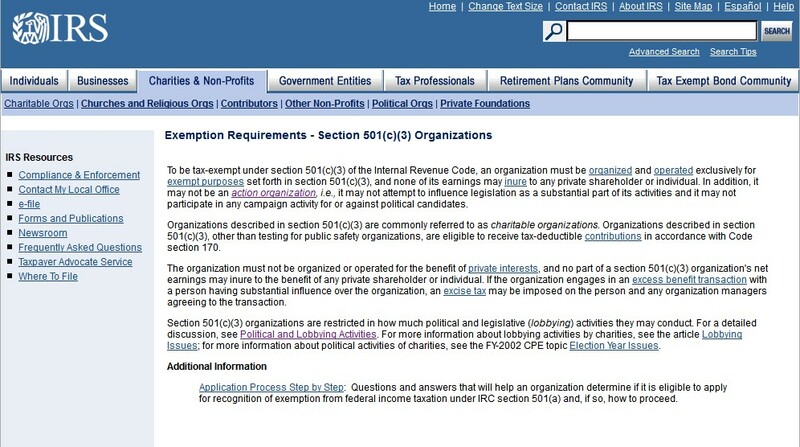 A church applies for 501(c)(3) recognition by filling out and filing IRS Form 1023. 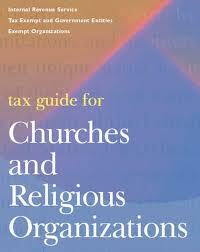 § 508(a),(c) says churches are excepted from obtaining § 501(c)(3) tax exempt status. 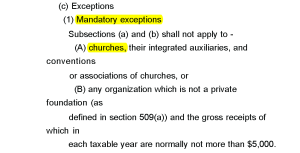 § 508 churches are an exception to the civil government requirement that certain organizations file for 501(c)(3) tax exempt status. The beginning of a multi-page document to be filled out by a church who cares not that they dishonors the Lord. A law of man which enacts some biblical principles. However, a church should rely on the First Amendment to the United States Constitution, not on § 508 status for three reasons. 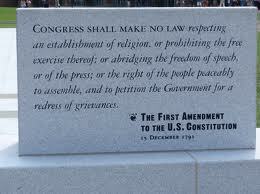 First, the First Amendment is a statement of the biblical principle of separation of church and state. This principle is fully explained in Sections I-III and the history of how the blood of millions of Martyrs led to the adoption of the First Amendment is explained in Section IV of God Betrayed (PDF OF God Betrayed, online version of God Betrayed, Order Information for God Betrayed and other books by Jerald Finney). When a church relies on the First Amendment, they are relying on a biblical principle. Should the biblical principle be abused or ignored by the civil government, so be it—a church should then rely only on the biblical principle. Obviously, § 508 is a law made by Congress which regards an establishment of religion. § 508 does not state that the First Amendment forbids Congress from making any law in violation of the First Amendment and, therefore, a church is non-taxable. § 508 states that Congress is declaring an exemption for churches. Hence, an adversary in a court proceeding can argue that a church has submitted herself to Internal Revenue Code § 501(c)(3) regulation and ignored her First Amendment status by relying on a law instead of the First Amendment. The Internal Revenue Service Publication 1828 states, that “churches which meet the requirements of § 501(c)(3) are automatically tax exempt and are not required to apply for and obtain recognition of tax-exempt status from the IRS.” However, the New Testament (First Amendment) church will not be in court anyway for several reasons: the church is not a legal entity; is not a business; has no income; has no employees or staff; claims no § 508 status; and, no matter what the particular civil government does, honors the biblical principle of separation of church and state which is reflected in the First Amendment in America. Third, a New Testament church (a church organized according to the principles of the New Testament), among other things, receives no income, has no employees or staff, and runs no businesses (daycare, “Christian” schools, cafes, etc.). Church members give their tithes and offerings to God, not to a religious organization, for use in ways consistent with New Testament teaching. 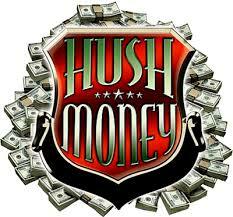 All monies given to God are disbursed in accordance to the guidelines of the New Testament, and no money is left over. Even a business which makes no profit pays no taxes. A church which does have net income should be taxed since she is operating as a business and not as a New Testament church. If a church does not apply for § 501(c)(3) tax exempt status or claim § 508 tax exempt status, and if it is organized as a New Testament church, according to the First Amendment which agrees with the biblical principle of separation of church and state, the non-taxable status of that church must be honored. 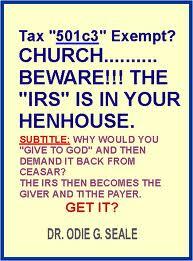 No matter what the civil government claims, that church cannot be taxed anyway because they have no income. If a church successfully applies for § 501(c)(3) or claims § 508 exempt status, the government is granted some jurisdiction over the church since the civil government now declares and grants an exemption. “EXEMPT, a. Free from any service, charge, burden, tax, duty, evil or requisition, to which others are subject; not subject; not liable to; as, to be exempt from military duty, or from a poll tax; to be exempt from pain or fear. Peers in G. Britain are exempt from serving on inquests. “2. Free by privilege; as exempt from the jurisdiction of a lord or of a court. “3. Free; clear; not included. “4. Cut off from. [Not used.] Shak.” (AMERICAN DICTIONARY OF THE ENGLISH LANGUAGE, NOAH WEBSTER (1828)). “exempt … 2: free or released from some liability or requirement to which others are subject” (WEBSTER’S COLLEGIATE DICTIONARY 406 (10th ed. 1995)). “1.A particular and peculiar benefit or advantage enjoyed by a person, company or society, beyond the common advantages of other citizens. A privilege may be a particular right granted by law or held by custom, or it may be an exemption from some burden to which others are subject.“2. Any peculiar benefit or advantage, right or immunity, not common to others of the human race. Thus we speak of national privileges, and civil and religious privileges secured to us by our constitutions of government…. “3. Advantage, favor, benefit” (Ibid.). “IRS concurrence that a religious organization is indeed a church is the best protection for a donor that his or her contribution to the church is tax-deductible and will not be challenged in an audit. This knowledge makes a church’s fundraising efforts much easier” (Peter Kershaw, Hushmoney (Branson, Missouri: Heal Our Land Ministries), p. 30, citing Michael Chitwood, Protect Your Contributions (referring to statement of IRS on p. 3 of IRS Publication 1828)). God had reasons for denying jurisdiction to the state over spiritual matters and restricting state authority to earthly matters. One reason has to do with qualification for determining the meanings of words. The interpretation of laws and regulations requires the defining of words. Employees of civil government are not qualified to determine the meanings of spiritual terms; but, by dealing with spiritual matters, such people are called upon to determine the meanings of spiritual terms. They must determine the meaning of “religion,” “religious,” “church,” and many other words. Since these employees are operating outside their realm of expertise, the outcome of their decisions on these matters will conflict with the biblical meanings of those words. In defining words, therefore, civil government officials intrude upon the jurisdiction of the church—the church is subjected to the state. “Which knew me from the beginning, if they would testify, that after the most straitest sect of our religion I lived a Pharisee” (Ac. 26.5). [Bold emphasis mine]. “For ye have heard of my conversation in time past in the Jews’ religion, how that beyond measure I persecuted the church of God, and wasted it: And profited in the Jews’ religion above many my equals in mine own nation, being more exceedingly zealous of the traditions of my fathers” (Ga. 1.13, 14). [Bold emphasis mine]. “If any man among you seem to be religious, and bridleth not his tongue, but deceiveth his own heart, this man’s religion is vain. Pure religion and undefiled before God and the Father is this, To visit the fatherless and widows in their affliction, and to keep himself unspotted from the world” (Ja. 1.26-27). [Bold emphasis mine]. “2. Religion, as distinct from theology, is godliness or real piety in practice, consisting in the performance of all known duties to God and our fellow men, in obedience to divine command, or from love to God and his law. James i. “3. Religion, as distinct from virtue, or morality, consists in the performance of the duties we owe directly to God, from a principle of obedience to his will. Hence we often speak of religion and virtue, as different branches of one system, or the duties of the first and second tables of the law. 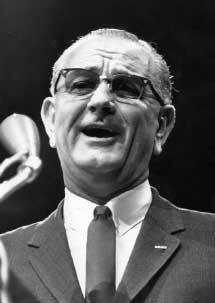 “Let us with caution indulge the supposition, that morality can be maintained without religion. Washington” (AMERICAN DICTIONARY OF THE ENGLISH LANGUAGE, NOAH WEBSTER (1828), definition of “RELIGION”). “As concerning therefore the eating of those things that are offered in sacrifice unto idols, we know that an idol is nothing in the world, and that there is none other God but one. For though there be that are called gods, whether in heaven or in earth, (as there be gods many, and lords many,) But to us there is but one God, the Father, of whom are all things, and we in him; and one Lord Jesus Christ, by whom are all things, and we by him” (1 Co. 8.4-6). “What say I then? that the idol is any thing, or that which is offered in sacrifice to idols is any thing? But I say, that the things which the Gentiles sacrifice, they sacrifice to devils, and not to God: and I would not that ye should have fellowship with devils. Ye cannot drink the cup of the Lord, and the cup of devils: ye cannot be partakers of the Lord’s table, and of the table of devils” (1 Co. 10.19-21). The world does not understand God and the one true religion. Since there is only one true God, there is only one religion with power from God. Before one can know that one true God, one must know Jesus Christ, God the Son: “Jesus saith unto him, I am the way, the truth, and the life: no man cometh unto the Father, but by me. If ye had known me, ye should have known my Father also: and from henceforth ye know him, and have seen him” (Jn. 14.6-7). The Bible, as pointed out above, recognized the Jewish religion. Members of the Jewish religion (and any other religion) who do not recognize the Lord Jesus Christ as sovereign God are false religions and have no piety or power from God. “And Jesus came and spake unto them, saying, All power is given unto me in heaven and in earth” (Mt. 28.18). Unconverted Jews deny that Jesus Christ is God the Son. The Jewish religion, like all other religions except true biblical religion, is therefore a false religion. The IRS and the federal government to a great extent, however, have concluded that all religions are equal and have created a pluralistic code and a pluralistic nation. “We hasten to emphasize that by its use of the term ‘church,’ Congress must have intended a more narrow classification than that embodied by a term such as ‘religious organization.’ Despite the lack of guidance from Congress, and in the absence of a more explicit regulatory definition of the term ‘church,’ we will continue our efforts to give a distinct meaning to this statutory classification” (Foundation of Human Understanding v. Commissioner of Internal Revenue, 88 T.C. 1341, 1361; 1987 U.S. Tax Ct. LEXIS 75; 88 T.C. No. 75 (1987)). “(1) a distinct legal existence; “(2) a recognized creed and form of worship; “(3) a definite and distinct ecclesiastical government; “(4) a formal code of doctrine and discipline; “(5) a distinct religious history; “(6) a membership not associated with any other church or denomination; “(7) an organization of ordained ministers; “(8) ordained ministers selected after completing prescribed studies; “(9) a literature of its own; “(10) established places of worship; “(11) regular congregations; “(12) regular religious services; “(13) Sunday schools for religious instruction of the young; “(14) schools for the preparation of its ministers.” (American Guidance Foundation, Inc. v. United States, 490 F. Supp. 304 (D.D.C. 1980)). “In addition to the 14 criteria enumerated above, the IRS will consider ‘[a]ny other facts and circumstances which may bear upon the organization’s claim for church status.’ Internal Revenue Manual 7(10)69, Exempt Organizations Examination Guidelines Handbook 321.3(3) (Apr. 5, 1982)” (88 T.C. at 1358). “Now therefore ye are no more strangers and foreigners, but fellowcitizens with the saints, and of the household of God; And are built upon the foundation of the apostles and prophets, Jesus Christ himself being the chief corner stone; In whom all the building fitly framed together growth unto an holy temple in the Lord: In whom ye also are builded together for an habitation of God through the Spirit” (Ep. 2.19-22). The results of the attempts of the courts and IRS to define “church” are twofold: First, some of those “religious organizations” which are not “churches,” but have sought to be recognized by the civil government as “churches,” have been declared to be “churches” by the civil government; and second, New Testament churches which have sought and obtained incorporation and/or “tax exemption” have become legal entities and lost their status as New Testament churches solely under God. (2) the undesirable consequences of deviation from the biblical principles that the church is a spiritual entity, the only spiritual institution ordained by God; the state is an earthly entity ordained by God to operate only within its God-given earthly jurisdiction; and that neither the church nor state should be over the other, but God should be over both. (3) that the federal government (and the states since the incorporation of the First Amendment by the Fourteenth Amendment) violates the First Amendment when civil government provides for incorporation and tax-exempt status for churches or any other religious organization. (4) most importantly, that most churches have abdicated their responsibility to honor their husband, the Lord Jesus Christ. “The organization was established to develop an ecumenical form of religious practice, place greater significance on the modes of religious expression that would unify western and eastern modes of religious practice, place greater significance on the mystical or interior experience of religious truth than that of most western church denominations, and be more spiritually satisfying to members than other existing church organizations” (Ibid.). The lost and most believers have no clue as to the true meaning of “New Testament (First Amendment) church,” and America is not a nation under God. The civil governments in the United States, following Satan’s principles, have constructed a code that undermines incorporated 501(c)(3) and 508 religious organizations. Yet most American “Christians” are fearful and more concerned with pleasing civil government than they are in pleasing the Lord, more concerned with allowing their members to claim a tax deduction than with pleasing their Husband, the Lord Jesus Christ. The Savior grieves. Reblogged this on Pimento Sandwich Blog.